Here are some scenes from Windows Into DC festivities. 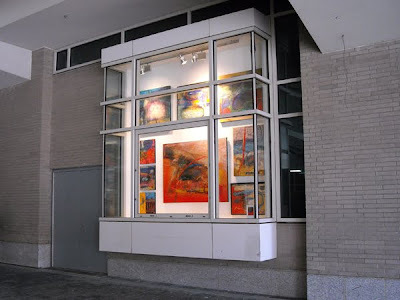 Exhibition runs through March 2010 on M St. NW and N St. NW (between 7th and 9th Sts) and on 7th Street near Mt Vernon Sq 7th St-Convention Center Metro. The artists are: Beth Baldwin, Jason Clark, Tim Conlon, Liani Foster, Amber Robles-Gordon, Eve Hennessa, Michael Dax Iacovone, Anne Marchand, Cory Oberndorfer, Michael Platt & Carol A. Beane, Kelly Towles, Aneikan Udofia, Colin Winterbottom, The New Community for Children and singer, songwriter, KUKU, the Afro-Soul Acoustic Experience. Flickr set "Photos by: Christiana Aretta"
Acoustic Ambience by Matthew Hemerlein! The Feeder series references residue from past actions, equipment for events either past or future, and alludes to people whose relationship to the objects and the viewer is unclear. The sculptures presented are objects of some dystopian past or future and become placeholders for conversations we have, should have, or will have. D'Orio intends his work to be the starting place of dialogues regarding consumption and distribution, and thus offers no answers, but rather poses the questions for the viewer. 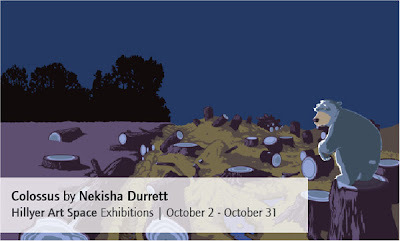 Colossus is a full scale installation by Nekisha Durrett inspired by a poem of the same name by David C. Ward. The poem and the installation visualize a land deforested by Colossus, a metaphoric representation of industry and civilization. Ten themes—Scrape, Concentricity, Line, Gesture, Art on Art, Drip, Stripe to Zip, Figure or Ground, Monochrome, and Picture the Frame—illuminate specific works across the Robert and Jane Meyerhoff Collection. The resulting juxtapositions, often surprising and provocative, provide a new way to tell the story of postwar American art, and of a great collection. Through remarkable acuity, exhaustive study, and close relationships with the artists, the Meyerhoffs amassed one of the most outstanding collections of modern art, with an emphasis on six American masters: Jasper Johns, Ellsworth Kelly, Roy Lichtenstein, Brice Marden, Robert Rauschenberg, and Frank Stella, in addition to important works by leading abstract expressionists and younger artists. A number of the ten themes concern the material process of creation, others address issues of form and composition, and still others extend past material and formal issues to broach the self-reflexive aspects of modernist painting. Some 126 paintings, sculptures, drawings, and prints include several acquisitions made after the collection was last highlighted in a major exhibition at the Gallery in 1996. All of the works in the exhibition have been donated or promised to the National Gallery of Art and continue to shape and greatly enhance the Gallery's modern and contemporary collection. Betto Ortiz Columbian-born Betto travels the world with his camera in-hand, capturing situations familiar to local subjects yet seemingly exotic to our eyes. In Exotic Textures, Betto’s work quietly slips into the realm of abstraction and integrates the smooth surfaces of large (20”x30”) photographs with the three dimensional texture of mixed-media matting. The photographs notably refuse to dwell in, or reflect upon, the panoramas often associated with documentary-based, travel photography. Betto deliberately eschews capturing large-scale, narrative images, focusing instead upon the nuances of color, shape and texture. This abstraction is further heightened by the use of handmade, collaged matting formed by hundreds of miniscule photographs covered in layers of vibrantly colored acrylic paint. 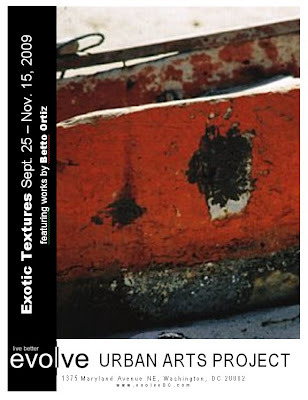 While Betto steadfastly refuses to digitally manipulate or otherwise enhance the content of his photographs, the unique acrylic design of the matting infuses his latest work with a three-dimensional depth not normally associated with photography. According to Eric Hope, the Project’s curator, Betto’s abstract style brings a fresh, exciting perspective to how we experience foreign, “exotic” imagery . “An old dingy laying discarded on a sunny Columbian beach becomes an interplay between fading patterns of reds, whites and browns and the rough wood underneath, highlighted by an unrelenting sun and undulating line of sand. Likewise, a chandelier in Geneva’s cathedral is reduced to an interplay between the competing hues of dark blues on the ceiling and the light sconces,” states Hope. “By focusing on these abstract details, Betto’s photographs demand us to let go of our need to assign these images to one specific point on a map. In stripping the image of its concrete, local identity Betto invites the viewer to slowly savor the resulting impressions that lay underneath and reassess their notions of what constitutes ‘exotic’." Poetry reading at 1 pm. Discussion with Executive Director at 2 pm. Light refreshments will be served, board members and DCAC stake holders will be on hand to discuss the organization. In the heart of one of Washington’s most culturally diverse neighborhoods, cutting-edge artists and performers have found support and encouragement at the District of Columbia Arts Center for 20 years. 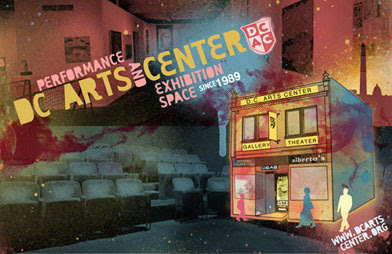 Today DCAC is the vibrant hub of alternative arts activity in Adams Morgan. Poets, painters, actors, storytellers, sculptors, and performance artists from around the corner and around the world gather here to participate in the exchange of ideas and the creation of new visions. On Saturday, October 3 between 12:00 noon and 4 pm, the public is invited to see why DC Arts Center is indispensable to the local arts scene and is one of this neighborhood’s exciting cultural highlights. The afternoon will feature board members, visual artists, actors, a poetry reading, and an open discussion with the Executive Director about DCAC’s past, present and future as well his experience in the DC arts scene over the past 25 years. In addition to coming by DC Arts Center's open house, visitors can take the opportunity to enjoy the neighborhood of Adams Morgan and all it has to offer. Check out the annual Crafty Bastards Craft Fair, taking place on October 3rd, from 10am to 5pm right down the street from DCAC at the Marie Reed Community Center. The DC Convention Center is bringing its artistic side out. With a first-of-its-kind exhibit to fill windows and exterior gallery spaces with art, the Windows Into DC show is a reflection of our community. A little known fact about the Convention Center is that it houses a dynamic $4 million permanent art collection. With this new show, the Convention Center extends its inner-artists out to the sidewalk spaces around the building. The entire DC community is invited to a ribbon-cutting ceremony with Mayor Adrian M. Fenty at 5:00 PM on Tuesday, September 29 at 7th & M Streets outside of the Mt Vernon Sq/7th St-Convention Center Metro entrance. At that time, young students from the New Community for Children will be finishing their three-panel art piece that shows their pint-size view of Shaw.KUKU will be performing, 4:30 PM - 5:00 PM on Tuesday at 7th & M Streets outside of the Mt Vernon Sq/7th St-Convention Center Metro entrance. Pick up a Windows Into DC brochure at the information desks located in the Grand Lobby. The installation will be open through March 2010. Gold Leaf Studios artists, designers and musicians include: Artist Mike Abrams, Artist Tendai Johnson; Printmaker Kristina Bilonick; Jewelry Designer Sarah McLaughlin; Graphic Designer Nick Pimentel, Designers Will and Cole Sharp / streetwear company - Durkl; FFFever musicians Aaron Baird, Justin Rodermond and Alex Clarke; US Royalty musicians John Thornley, Luke Adams and Jacob Michael. John Dreyfuss will discuss his works on view in the Sylvia Berlin Katzen Sculpture Garden at the American University Museum. Featuring six large-scale works by sculptor John L. Dreyfuss, this exhibition is an exploration into the evolution of form and the wonder of invention. Referencing bones and early tool shapes, each work examines the relationship between form, strength of materials and the harnessing of power. Beginning with sketches, wax, plaster and cast metal models, Dreyfuss has subtly refined each work over the past decade and, through an ongoing collaboration with aerospace engineers, has experimented with the fabrication process. Rendered for the first time at monumental scale in composite materials, these extraordinary works simultaneously draw on ancient and primal references, while being distinctly contemporary in their conception. Head Cinema is a US (Art Outlet)/German (Der Kunstladen, The Art Shop) artists' swap meet showcasing German and US artists' explorations of dreams and dreaming. The Art Shop artists will show us their dream stuff and Washington area artists will return the favor during a live webcam reception October 17, from 2-4 (EST) at the Capitol Skyline Hotel in SW DC's Skyline Lounge and Magnolia Room. (Tell your cousin in Mannheim to show up for a shout out!). Art Outlet's reception will include dream performance by Floating Lab Collective, dream magic by David London with Jeramie Bellmay, and a performance TBA. 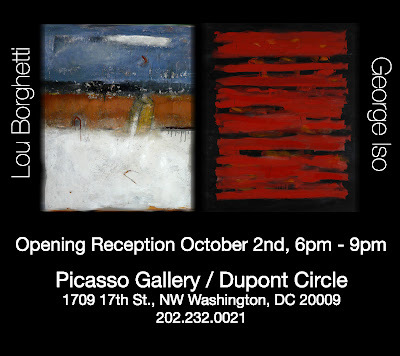 Art by DC area artists will include audio, still photography and video about dreams broadcasted during the reception. DJ CJ Weaver will spin dreamy ambient tunes, and the Skyline Lounge will be pouring libations. The Art Shop will feature a video tour of the 2 and 3-D art in the show, live performance, and recorded video about dreams. Call to Artists - E-Mail Us Your Dreams! We are seeking audio, video or still photography cell phone art that explores dreaming dreams, dream theory, the act of dreaming, etc.) to project during the reception and send to The Art Shop to show at future dates. You may send jpeg images and/or 15 – 60 second audio (mp3) or videoclips (mpeg) about dreams no later than October 9, 2009. This is a curated exhibition with no registration fee. Your digital files should not exceed 5MB. If larger, please use yousendit.com. E-mail us your dreams at dreams@artoutlet.org. Along with your submission, include your name, contact information (phone, email), the name of your piece, duration, medium, any credits you want us to include, and a short description. The Art Shop (Kunstladen) began in 2004 to improve the cultural and social climate in the city of Mannheim and to aid in the viable and sustainable development of communities. This includes developing a network of art professionals. Like Art Outlet, The Art Shop is run by artists for artists and the community. The Greater Reston Arts Center presents Rebecca Kamen’s Divining Nature: An Elemental Garden, a sculpture installation inspired by the periodic table of chemical elements. Kamen transforms the arts center’s octagonal gallery into a spiral garden of luminous, white “flowers” representing the eighty-three naturally occurring elements. Each flower is comprised of white Mylar tiers supported on slender fiberglass stems. The number of tiers (or petals) corresponds to the element’s orbital pattern while the number of stems is based on its electrons. While Kamen’s garden of elements transforms the arts center’s main gallery into a floating sea of pagoda-like forms, in an adjacent gallery the artist uses the geometric forms of the Platonic Solids to create wall-mounted sculptures inspired by the five original elements: Earth, Fire, Water, Air, and Cosmos. Kamen is well-known as a sculptor and educator who creates thoughtful bodies of work based on science. 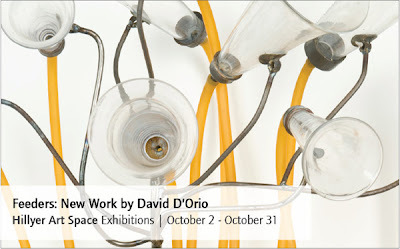 Her unique process, based on wide ranging research into science, cosmology, spirituality, and philosophy yields sculptures that begin with complex concepts and transform into distilled objects of refined beauty. Another hallmark of Kamen’s process is her keen interest in collaboration. In addition to the important association resulting in the soundscape by Susan Alexjander, the artist joined forces with architect Alick Dearie to develop a precise installation layout based on mathematic principles. Dearie’s elegant drawings are included in the exhibition catalog documenting the installation. Choreographer Jane Franklin, who is well regarded for her unique collaborations in unusual locations, will present an evening of dance within Divining Nature on October 21st. Has the economy stumbled so badly that gallerists have given up selling? Not exactly. But for the next several weeks, at least, one dealer will throw up his hands and throw out his price list, devoting his gallery's fall debut to an exhibition of the (practically) unsalable. The gallerist is George Hemphill, and now through the third week of October he's hosting District sculptor John Dreyfuss's most provocative works to date. Premiering poetry for "the girls"
Walter E. Washington Convention Center 7th & M Streets outside of the Mt Vernon Sq/7th St-Convention Center Metro entrance. Beth Baldwin, Jason Clark, Tim Conlon, Liani Foster, Amber Robles-Gordon, Eve Hennessa, Michael Dax Iacovone, Anne Marchand, Cory Oberndorfer, Michael Platt & Carol A. Beane, Kelly Towles, Aneikan Udofia, Colin Winterbottom and featuring The New Community for Children. City Arts has been named the charity beneficiary for the Washington Design Center's Fall Design House. Several City Arts custom murals and mosaics will be featured throughout the Design House, which pays tribute to eight historic DC neighborhoods. 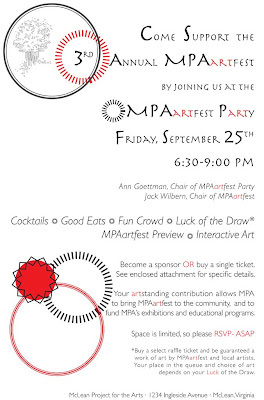 Click HERE to purchase your $50 tickets to the Opening Night Party on Thursday, September 24, 6 to 8 pm. City Arts will receive 100% of ticket proceeds. Artist Talk at the Auditorium at the Pascal Center for Performing Arts and Anne Arundel Community College. Sabor Latino / Latin Flavor 4-6 p.m.
Dance performance by the Salsero Group; keynote address by Luis Borunda, founder and president of U.S. Hispanic Youth Enterprise Education; talk by award-winning artist Karla “Karlisima” Rodas, an El Salvador native now of Washington, D.C.; and presentation by Governor’s Commission on Hispanic Affairs, concludes with 6 p.m. reception at adjacent art gallery. (G Fine Art) El Museo del Ghetto is pleased to present new, major collaborative and individual works by Jefferson Pinder and Jose Ruiz at its temporary location on 625-27 E Street, NW, Washington, DC. 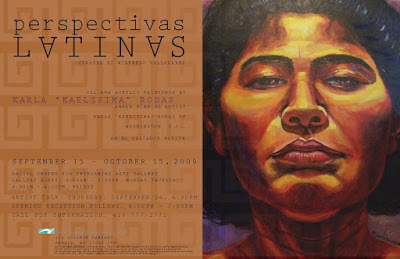 El Museo del Ghetto at once deepens and exceeds the constellation of issues—about history, narrative, and identity—explored with various intensity in Pinder’s 2006 solo show at G Fine Art, and subjects them to the sly, deadpan humor evident in Ruiz’s own previous solo shows, in 2005 and 2007. Perhaps the signal piece is Roulette, a collaborative video projected in the main space, Pinder puts a gun to his head and pulls the trigger. Ruiz responds by taking a different kind of shot—of tequila. The initial set up—a simple alternation, registered by the camera’s back and forth movement—engenders radically divergent, even contradictory, narrative structures. The anxious anticipation of watching Pinder’s game of Russian roulette eventually softens into staccato rhythm, while Ruiz becomes increasingly incapacitated by alcohol. That Pinder is African American and Ruiz is Latin American adds yet another layer. If you haven't seen the work of Kurt Wenner, pop over to Union Station today. His fabulous chalk painting is just at the Metro entrance in front of the Station Grill (located at the west end of Union Station). The street painting will be up until the end of today, so hurry over! Kurt was invited by General Motors to complete a street painting near the restaurant in celebration of the diverse world of art and design. Kurt Wenner is an international master artist with a background in classic Renaissance art. He has been street painting since 1982, and was recognized as one of few Master Street Painters by 1984. His dynamic, illusionistic street paintings are not just works of art, but also interactive experiences for passersby. And, for the weekend of September 19-20, visitors to Union Station are able to see his talents displayed around the Buick LaCrosse. In this presentation, Dr. Bartra will address the question of the famous “Mata Ortiz miracle”, which began more than 40 years ago when Juan Quezada first began producing an extraordinary type of pottery; since then, the economy of the small town of Juan Mata Ortiz has shifted considerably. She will tell the story of the women potters and gender relations, and explain the socio-economic changes that the resurgence of pottery production has meant for the town. Transformer is thrilled to be partnering with Shigeko Bork mu projects and artist/guest curator Jennifer Wen Ma in the presentation of Ink Storm at Transformer, September 18 - October 31, 2009. This exhibition highlights how artists CHEN Shaoxiong, DAI Guangyu, and Paula TSAI, incorporate ink into their work, ink, and how each individual exploration offers compelling contributions to contemporary art discourse. Following the success of Transformer's 2007 Big in Japan exhibition collaboration with Shigeko Bork mu project, exploring duality in contemporary Japanese art through the work of emerging Japanese artists who respond to the tradition and popular culture of Japan - Ink Storm, guest curated by artist Jennifer Wen Ma, presents three emerging Beijing based artists who re-interpret and re-invent traditional Chinese uses of ink through video, drawing, and mixed-media installation. The subject of ink play is important to curator and artist Jennifer Wen Ma, who works in a variety of mediums including: installation, video, drawing, fashion design, and performance, as well as pursuing architectural and public works. Originally from Beijing, and now based in New York, Jennifer has participated in numerous exhibitions nationally and internationally. Ink Storm & Brain Storm are made possible through the generous support of Studio Door. Are here from Germany and will be performing! during Art Basel in South Beach Dec 4th! 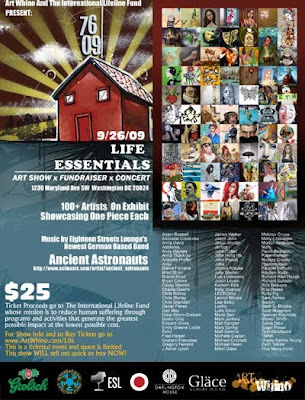 Art Whino and The International Lifeline Fund (“ILF”) present Life Essentials, a four-city tour that brings together the best Visual and Musical Artists in support of ILF’s ground-breaking humanitarian and environmental projects in Sub-Saharan Africa. The exhibit will feature the works of over 100 artists from across the country and around the globe. The tour will kick off in Washington, D.C. with a two-night event on Thursday and Saturday, September 24 and 26. Following the D.C. launch, the show will hit the road with stops at Art Basel in South Beach on December 5-6, New York City in March, and San Francisco in June. 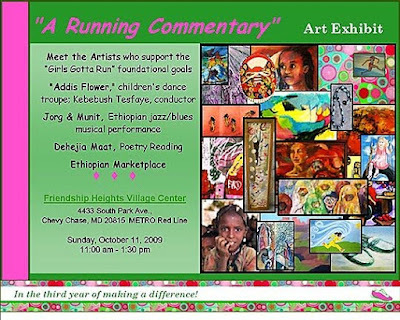 Thursday, September 24, 2009, will be an invitation-only event featuring live musical performances, a presentation by ILF, and an exclusive sneak preview of the artwork in advance of the official opening of the “Life Essentials” show on Saturday. Guests will be given the opportunity to purchase the artwork and otherwise to support ILF’s vital mission through participation in a silent auction and individual donations. 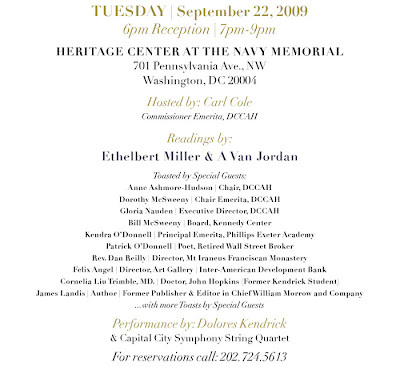 Many celebrities, politicians, ambassadors, and other DC power players are expected to attend. Savory hor’dourves and sweet desserts will be served along with libations. Saturday, September 26, 2009, will be the official “Life Essentials” art show opening kicking off the four city tour at the Portals Theater in Washington, DC, Art Whino opens this incredible art show and reception party featuring a night of lush entertainment by Ancient Astronauts, ESL music’s newest signed talent from Germany, who will headline the evening with a special performance, setting the mood for this spectacular evening. Project 4 presents, “Relatively Epic” by Raymond Uhlir. The artist’s first solo exhibition at Project 4 reveals a winding narrative not only within the paintings themselves, but throughout the entire gallery space as the viewer moves from one piece to the next. The clean crafted, meticulous paintings reminiscent of cartoon cells reflect on human interaction and drama as they set the stage for Uhlir’s epic. Uhlir’s work is driven by the persisting conflicts among ideologies and mythologies and between rationality and religion in Western civilization. By combining influences from pop culture, art history and religious imagery, Uhlir creates allegories, which confront these conflicts and present them in startling and fantastical scenes. Through meticulous installation, painting and sculpture, each artist muses on America – her landscape forms the mise-en-scène and her history becomes the lead. In This Land is Your Land, James Rieck confronts the grand genre of history painting in his seven works, all comprised of two cropped female figures dressed in alluring costumes of American icons, who frame a poignant history painting, which becomes the backdrop behind them. As highfalutin' as a 4th of July parade, this linear series is assembled in seven acts, each painting depicting periods in American history in which lands were conquered and a subsequent shift in power occurred. Chad Yencer quite literally takes on the petite genre in his twenty matchboxes, which, when opened, reveal tiny, ambitious landscape paintings, all sourced from snapshots of Yencer's personal history and travels through the American Mid-West. The mundane and commercially produced matchbox preserves moments of escape into the sublime, and through this juxtaposition of high and low, the banal and the significant are bridged. Andrea Pollan, Director, Curator's Office. Luis Silva, Director of Studio Arts, American University. Becky Jones, Freelance arts writer and independent curator. 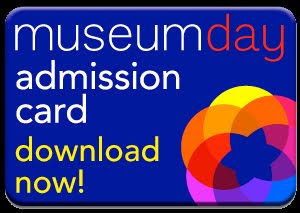 Visit selected museums free nationwide on September 26, thanks to "Smithsonian" Magazine- sponsored Museum Day. This show of decorative three-dimensional work features artists who have exhibited at Zenith Gallery for years. Here, you’ll see form and texture ranging from sleek steel and bronze pieces by Paul Martin Wolff to colorful Asian-styled tapestries by Amanda Richardson. at The Gallery at 1111 Pennsylvania Avenue NW. David and Lachelle will be available to address artists' comments, concerns, and listen to suggestions of what you want and need as an artist or arts supporter. You are encouraged to bring guests with you. Whether they are friends, family, or co-workers, IA&A wants their opinion on what they need and want as an artist or arts supporter! International Arts & Artists is dedicated to serving the artist community locally, nationally, and internationally. IA&A continues to develop distinct and relevant services designed to enhance careers in the visual arts and to foster a sense of community. As a member of IA&A, What do you NEED? Please inform IA&A of services that you would like offered, suggestions on the improvement of the membership program, or anything else that comes to mind regarding your satisfaction. You can email suggestions to membership[at]artsandartists[dot]org. 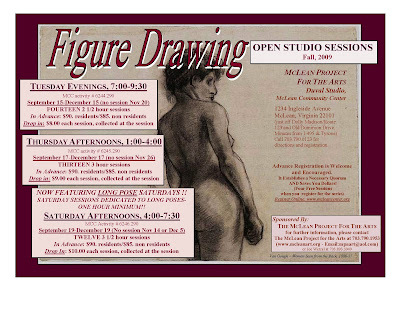 McLean Project for the Arts announces Open Studio Figure Drawing sessions for Fall 2009. Sessions are held in the DuVal Studio at McLean Project for the Arts, 1234 Ingleside Avenue, McLean. Advance registration is strongly encouraged. In her premiere exhibit at Addison/Ripley Fine Art, Isabel Manalo presents a collection of paintings and drawings that give new definition to the concept of Magic Realism. Her exhibition, "Once, Upon", seems to allow innocence and experience to exist on the same white surfaces. The places are primeval forests. The persons are, initially, her two, young daughters. A flash of time-stopping white light sears each of these works, freezing them in dreamy color at once fantastic and foreboding. Like the manipulated photographs that are the artist's starting point, the paintings and drawings have a quality of captured time. Gallery Imperato presents Smoke Rings, a solo exhibition of new work by Rob Tarbell from his series, Smokes. Comprised of smoke-marked works on paper that depict performing animals, the work intends to balance accident with control and give permanence to the ephemeral. The parallel between the artist's subjects and unconventional process makes for a thought-provoking exhibition. A portion of the proceeds will be donated to animal rescue organizations. The idea for Smokes stemmed from a self-help technique in which sentimental objects are burned to remove their emotional burden. Tarbell took the technique a step further by mounting paper to the ceiling in a Michelangelo-like fashion in order to capture the resulting smoke. Credit cards, photos and slides of his artwork are frequently sacrificed. In the process of being destroyed, the burning objects emit smoke upwards onto the paper thus capturing and containing the memory of what was. The finished pieces depict almost ghost-like images of galloping horses, dancing bears and trickster elephants. Modifying the behavior of the animals for use in entertainment requires knowledge of their specific natures and how they would respond to different stimuli. The same is true for the use of smoke as an instrument for creating art. The properties must be known and used appropriately or the desired result will not ensue. Attempting to control and direct smoke onto paper is much like taming a wild animal. It is unpredictable and unnatural, yet the result is often breathtaking. The images are kinetic, powerful, haunting and beautiful. They seem to have a life of their own, a spirit, a memory. "The Arts Club of Washington, DC (in the McFeely Gallery) will be hosting a solo exhibition of legendary American photographer Lida Moser, who now lives in retirement in nearby Rockville, Maryland." 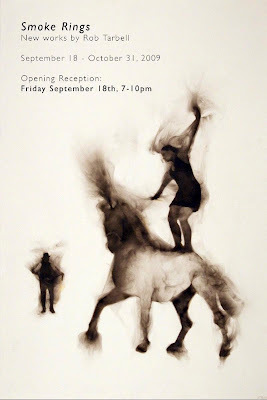 Opening Reception Thursday, September 17, 6-9 pm. "Weiss has discovered that tar is not the dull and uniformly black substance it first appears to be. It contains a range of subtle hues—rich browns, subtle grays and warm amber tones. She uses these colors to coax images from the tar. The images are not planned in advance, but reveal themselves as she works.They have an eerily organic quality to them, appearing to the artist like living things “swimming up from the primeval darkness.” They register with us at the most basic level of all, as if triggering a memory we carry in our DNA of the moment life began." Launched in 1981, WPA's biennial exhibition, OPTIONS, highlights the best and brightest emerging visual artists in the DC, MD and VA regions. Jen of Jen-A-Fusion is holding the beautiful new pouch I bought! She will be at Arts on Belmont Sunday, Sept. 13 in Adams Morgan. go see her stuff! She has some great designs for fall purses too. This event is a scheduled open critique for ALL artists. Each critique will be open to 8-12 artists on a first come, first serve basis (this will be a monthly event). Hillyer is still accepting artists for this first opportunity until October 14, so don't miss out! If you are interested in participating, please contact Lachelle Slade at membership[at]artsandartists[dot]org or 202-338-0680. Meet the faculty, register for classes, tour the school, participate in a free drawing class. These three artists make art that dabbles in storytelling and takes the viewer on a journey into the mind of the maker. Marquart mines the fairy tale for both content and imagery. Janis leads a guided tour of the interpretations and impressions he finds in the Tarot fortune telling system. Baker opens the door to both his conscious and unconscious thoughts as they take the form of unlikely images ranging from kitchen mixers to rockets. Executed in both glass and various print media, these works engage the viewer in an imaginative attempt at interpretation. These sculptures by Northern Virginia artist Novie Trump depict books, reliquaries, houses, boats, bones and birds, and draw on her training in classical archeology and interest in ancient myths and tales. Trump creates works from clay that possess the warm and worn patina of classical antiquity, while exploring timeless themes such as love, fear, death, courage and transformation. Longtime MPA/Corcoran teacher and artist Marise Riddell exhibits abstract paintings exploring order and chaos. Using layers and visual transparency, these works are influenced by time spent in the American Southwest among Native American cultures, and by the customs, colors and spiritual beliefs that permeate that unique environment. 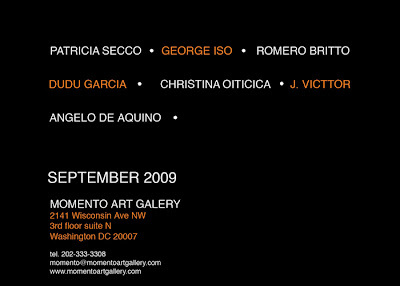 Mort’s presentation Mars in Real Time will be featured along with his artwork at the Paris Observatory on September 18, 2009 as part of the International Year of Astronomy celebration. Greg Mort artist and astronomer broadens our visions of the cosmos through his paintings. 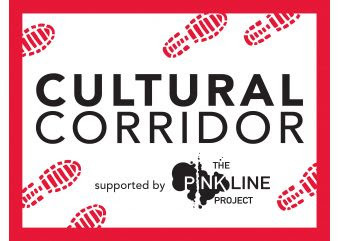 Stop by the Pink Line Project Booth!! 1. Take cultural tours led by performance artists "We Are Science!" 2. Decorate lunch bags for artist DECOY's "Eat ur he(art) out" project to raise awareness of hunger in DC. 3. Design a quilt square for "The American Quilt 2009" for a chance to be exhibited at The Textile Museum. The event is open to the public, but seating is limited. This event is co-sponsored by Georgetown University’s graduate program in Communication, Culture & Technology and the Department of Art and Art History. Parking is available: enter from Reservoir Road across from 38th St., NW. If driving, go to Reservoir Road, NW and turn into the parking entrance across from 38th St. Parking is directly behind the Leavey Center (map: building 22). Taxi: you can enter the Georgetown Main Campus from the main gate at 37th and O Streets, NW, and a short walk to the Leavey Center (map: building 22), or be dropped off at the Leavey Conference Center and walk through the building toward the front campus entrance. Give & Take / Da y Toma artists: Holly Bass, Breck Brunson, Nilay Lawson, Solomon Sanchez, and Señor Tangcito (aka Tang). Join them for this special presentation at the Mexican Cultural Institute highlighting their exhibition and creative experience, including extensive images and a talk with the artists about their work. Attendance is free. A juried show featuring the best of the Torpedo Factory, this exhibit celebrates the art center's 35th anniversary. Having toured independent art centers around the country, From Here 2 There is on display locally for the first time. 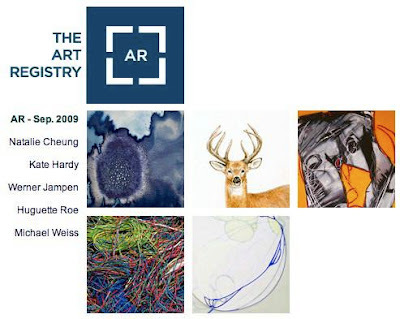 Juried by Jenine Culligan, Senior Curator for the Huntington Museum of Art. CLOSING EVENT for "My Space on 7th"